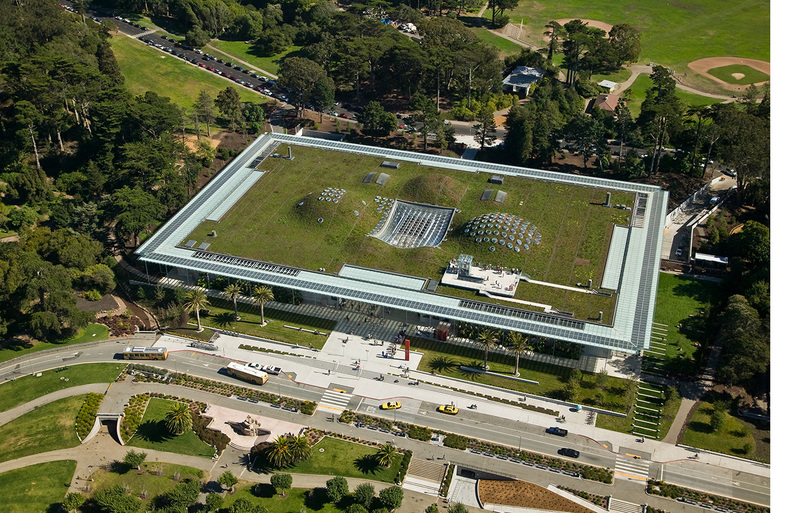 Project components include: public exhibit space, planetarium, glass biosphere, numerous aquaria and life support systems, scientific research laboratories, administrative offices, collections storage for 27,000 specimens, public gardens, historic preservation/restoration, restaurant and retail spaces, and a 2.5 acre living roof. 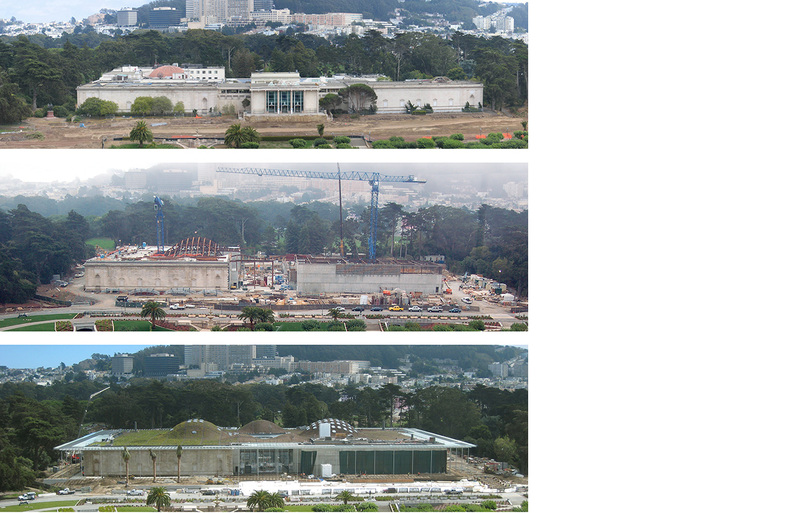 ìThe new Academy rises on the same site of the former California Academy of Sciences in Golden Gate Park. The design required the demolition of most of the 11 existing buildings, built between 1916 and 1991. 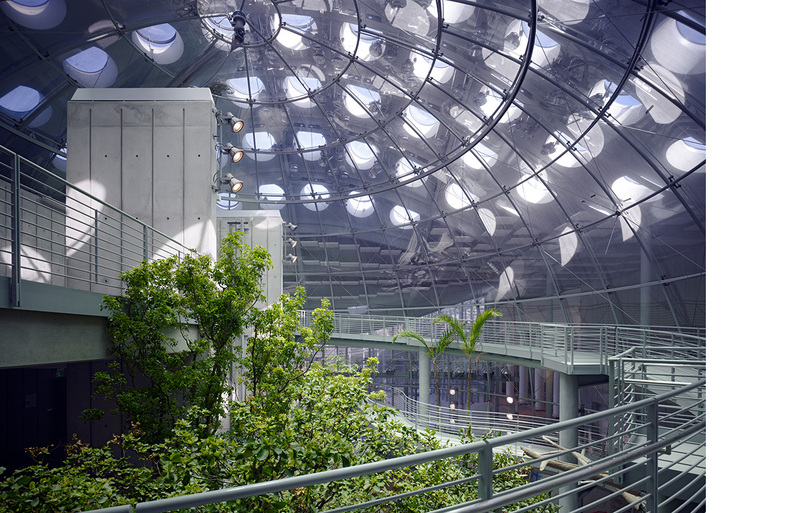 Its primary goal is to provide a modern facility for exhibition, education, conservation, and research under one roof according to sustainable design strategies. 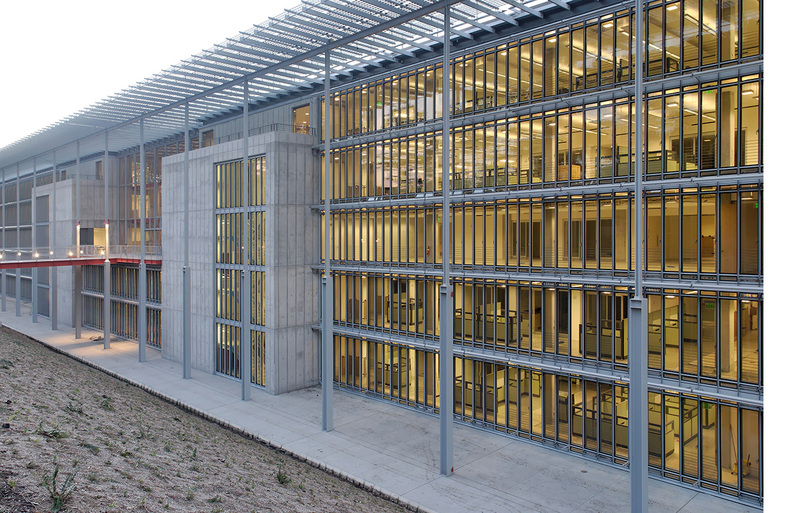 Natural ventilation instead of air conditioning for large parts of the building, carefully chosen building materials, an efficient use and re-use of water, as well as the generation of energy, are integral parts of the design. 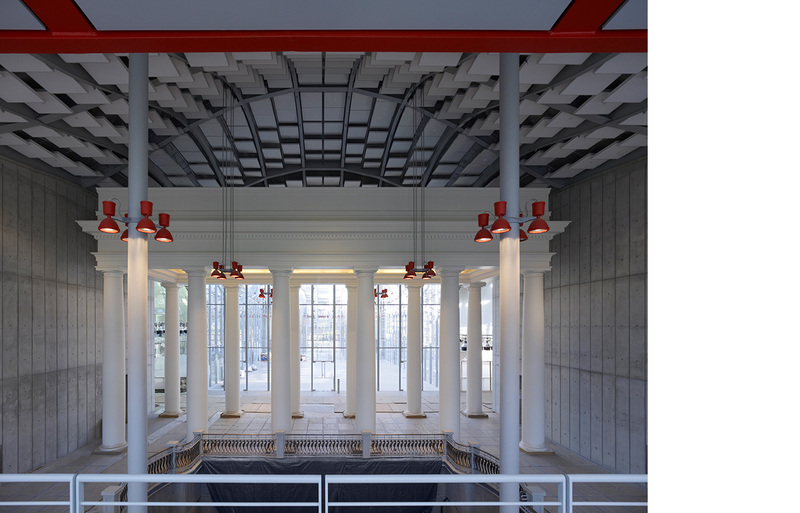 Three historic elements of the existing Academy (the African and North American Halls, and the entrance to the Steinhart Aquarium) are maintained in different ways as a memory of the past. 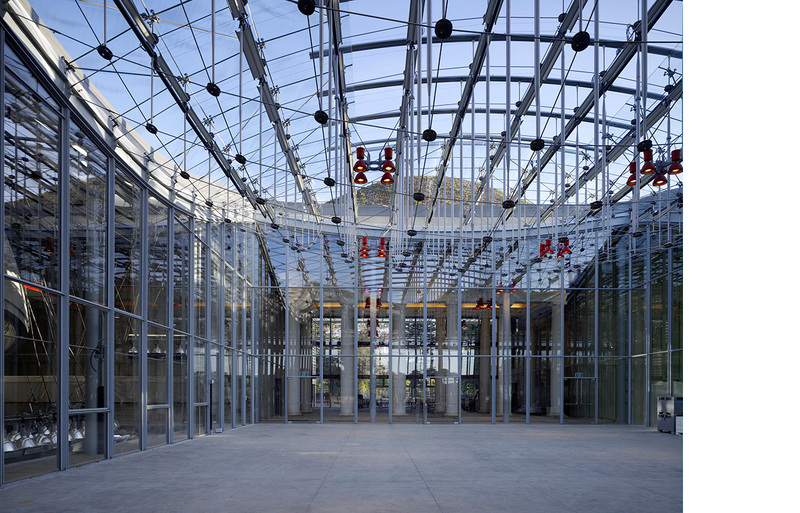 Research activities and storage spaces for the scientific collection are concentrated in 5 floors facing the park, whereas public areas, the Exhibit Halls, are organized around the Piazza on the ground level, and below, in the Exhibit Basement. 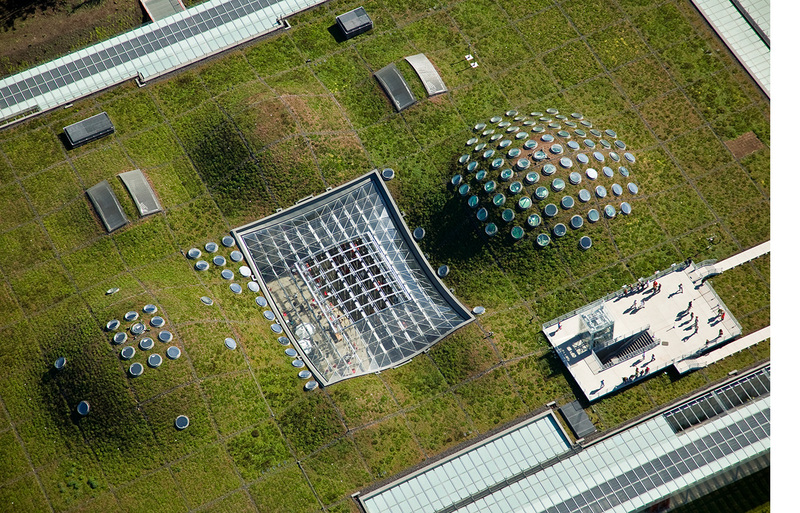 A green roof, landscaped with native plant species, unifies the different functions. 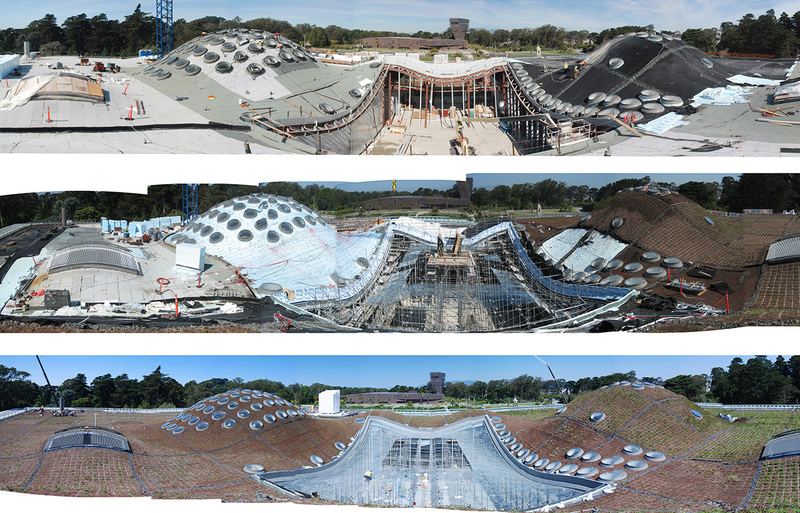 It undulates to accommodate the Academyís major components: the Planetarium, the Rainforest Exhibit, and the Steinhart Aquarium entrance. 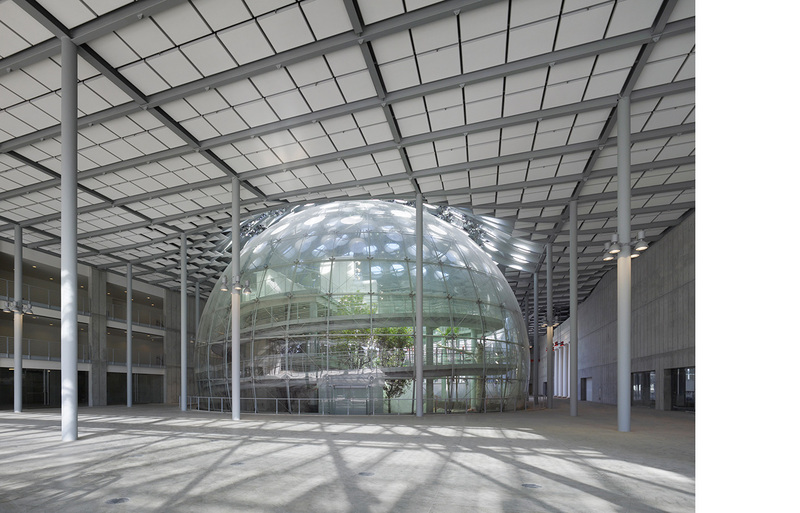 In the center of this ëLiving Roofí a glazed skylight covers the Piazza, while other smaller skylights allow natural light into the exhibit space and provide natural ventilation. 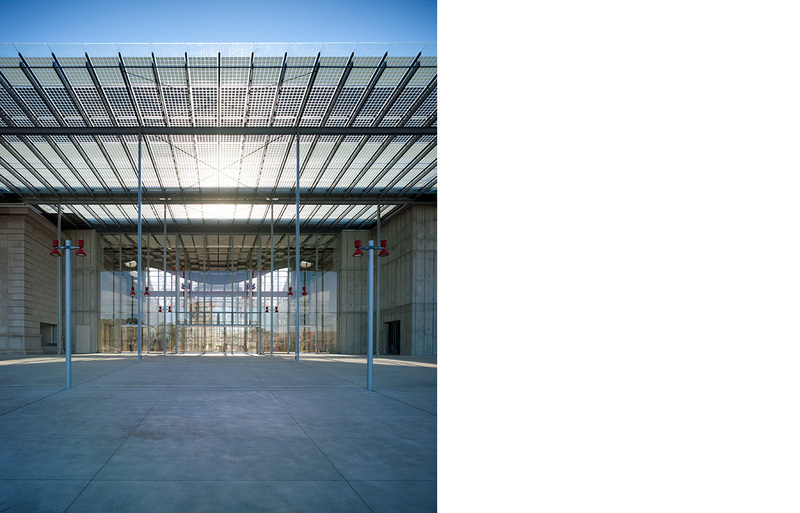 The roof extends beyond the perimeter walls into a glass canopy to provide shade, protect from the rain and generate energy through more than 55,000 photovoltaic cells in the glass. 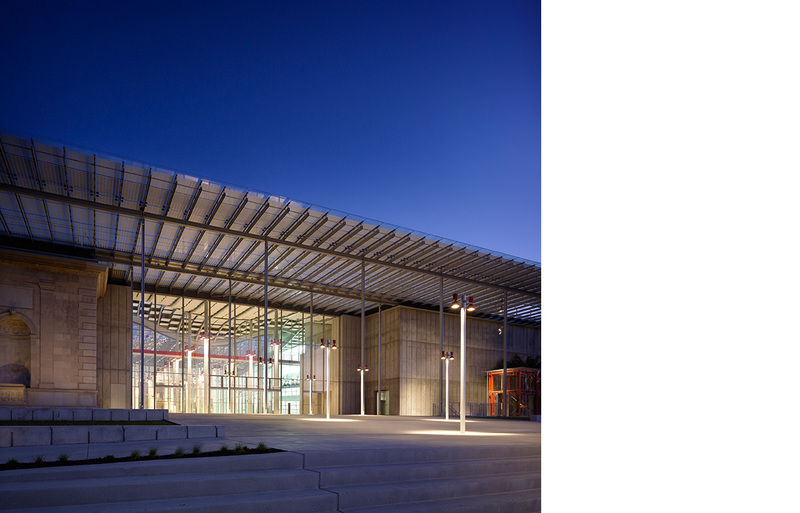 The material palette for the complex as a whole remains simple: limestone, architectural concrete, steel, aluminum, and extra clear glass. Brett Terpelukís Role: Brett Terpeluk joined the project team at RPBW Genoa during Design Development phase after six years with the office. 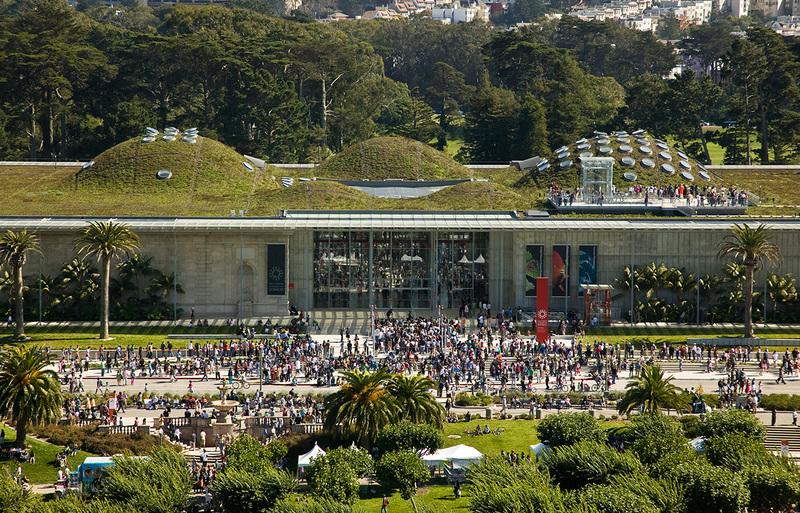 He became the lead project manager for RPBW in San Francisco from 2003 through the projectís completion in 2008. 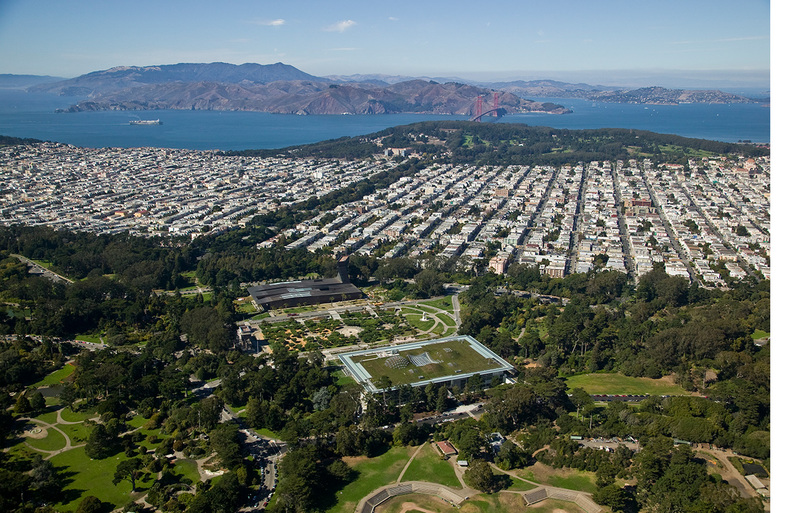 Brett played a seminal role in triangulating the efforts of RPBW, client, contractor, engineers, San Francisco Department of Public Works, and the local architect in an effort to smoothly implement the design vision. Brett provided design and coordination oversight in the following critical areas: complex glazing and faÁade systems, performance prototyping (facades, concrete, roof structure, green roof, radiant flooring), organic structural geometries utilizing BIM technology, natural ventilation strategies, systems coordination with engineers and contractor, LEED Platinum sustainability coordination, historic preservation and renovation, exhibit and life support system coordination, over $14,000,000 of value engineering, restaurant, retail, and graphics coordination, laboratory and specimen collections, open office systems and FFE, and green roof prototyping and implementation. 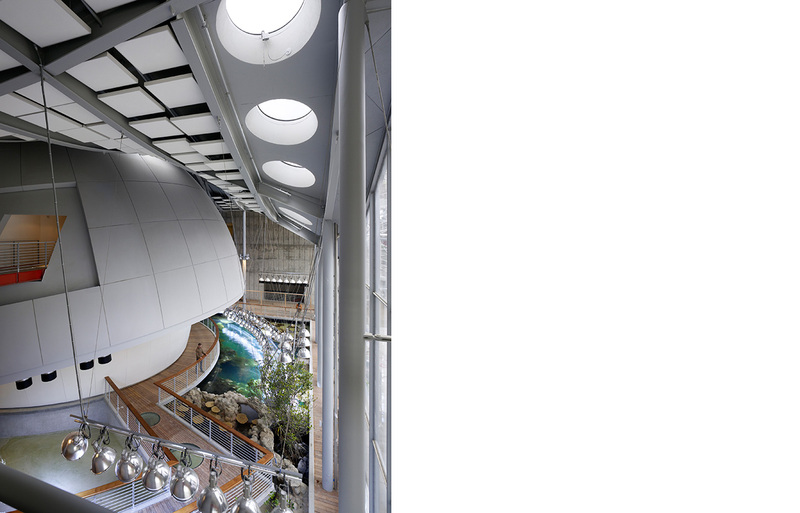 Studio Terpeluk continues to assist RPBW and the California Academy of Sciences in post-opening building and systems modifications.